Through (1)Workshops, (2)Art & writing competitions, (3) Karuta Tournaments. Started in the UK and is going to be available worldwide. 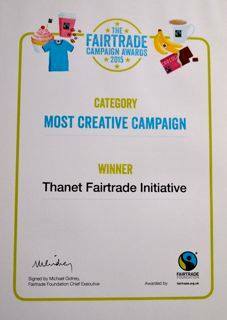 One of our Creative Karuta Project called ‘Fairtrade Karuta Project’ was awarded by Fairtrade Foundation as “Most Creative”. Karuta is still an active game in Japan. New themed Karuta cards show up every year and Karuta game competitions have been held at school, in communities nationwide in Japan. Creative Karuat Project intends to introduce such vibrant, creative ‘Karuta culture’ abroad to enrich education and communities worldwide. School workshops have been offered through placement programs, Japan Creative Weeks(UK) and Karuta in Education(Australia). The workshops were also offered at the Conference of Japanese language teachers in Australia and in a partnersihp with a community group and local govement in Japan. To involve the local community in the project we organize Art & writing competitions. By working with a community group we organize a Karuta tournament to reach more audiences. 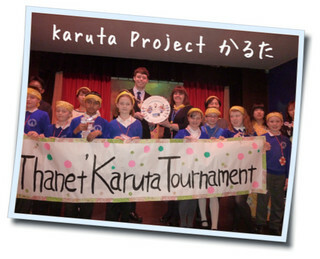 2(two) Karuta Tournaments were held as part of local community event, UK. We have been working on the following projects.